Feature Friday: Anne Marie Design Stamps! Today we chose to feature these wonderful stamps as they haven't been noticed by a few customers while scrolling the site, but that bug has since been patched! Now, you can very easily click on the images to be taken to their respective pages to learn more about them, or hopefully even buy them! 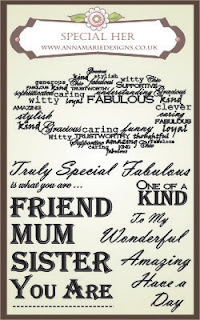 For the special mother or sister in your life, with many special sentiments included. 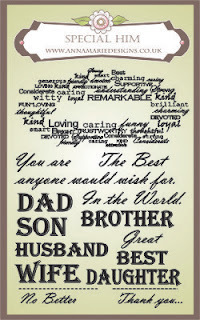 For all the dads, sons, husbands, brothers, wives, daughters and relatives you want to make a crafty project for! So as you can see, there's a lot that can be done with these stamps, and you'll find them very useful for all kinds of projects due to the sheer range of stamps in each set.